them and may even encourage them to use them. Having the right tools and products to take care of your teeth is an important part of maintaining healthy teeth, so it is also a good idea to have the best electric toothbrush on hand to give your teenager that extra help. seem like a lazier option (so this may help you sell the idea to your teenager!) but they are a much more effective way to maintain your mouth hygiene and decrease plaque. If you are looking for the best electric toothbrush, you can find some expert advice by looking at this round-up of the best toothbrushes according to Toothstars which will hopefully make your decision a lot easier! Another way you can help your teenager to have healthy teeth is to ensure their diet is low in sugar, as too much sugar can lead to poor oral hygiene. It might not be a popular move in your household, but keep the number of fizzy drinks to a minimum wherever possible. You can’t watch what your teen is drinking and eating all day long, but you can at least limit what they are having while at home. This will encourage the family to turn to other forms of drinks and avoid the high sugar fizzy drinks. Make sure that you are also aware of the sugar levels in sports drinks that claim to be a healthier option. They often contain more sugar than in regular fizzy drinks. Try to encourage your children to drink more water, as it is good for their overall wellbeing as well as for their oral hygiene. The same goes for the types of foods your teen is eating. Try to limit their intake of sweets and encourage more fruit and vegetables into their diets. It is really important that all your family regularly attend dental check-ups, but the teens in your family may be even more reluctant to face the dentist. It can be difficult to keep on top of everything that comes with having children, but try to keep a note of when their dental appointments are and stick to them. It may be a good idea to set a reminder in your phone a few days before the appointment is scheduled. It is important that you adhere to these appointments so that your children grow up realising that dental hygiene is really important. Tattoos and piercings are a teenage rite of passage, and among the most popular teenage piercings are lip and tongue piercings. It is strongly advised that you discourage your teenagers away from getting any oral piercings, as they can cause oral issues and infections. They have been known to cause chipped teeth and can prevent the teeth from moving around freely at a time when the mouth is still growing. You should take your teen to the dentist or dental hygienist before having a piercing done so that they are fully informed and aware of the consequences. But ultimately, remember that you are still their parent and have the right to say no to anything that could bring them harm. experiences such as smoking. It is very crucial that you talk with your teens and explain to them the health implications and oral hygiene issues that come from smoking. You should maintain a smoke-free home (which may involve quitting smoking yourself) and discuss with your teenagers how smoking can have massive implications. These include stained teeth, bad breath, altered taste buds, and even oral cancer. It may be a good idea to take your teenager to the dentist and see if braces are necessary for them. People can get braces at any age, but it is much more common to have them during the teenage years. It could be worth heading to your local orthodontist and seeing what options are available. Teenagers can often feel insecure and suffer from low self-esteem, so seeking out help with their teeth may avoid this. It is essential that you support your children with their health and hygiene no matter what their age, but oral hygiene and healthy teeth can often be overlooked in favour of other health issues. While it can be increasingly difficult to influence what your children do as they get older, it is essential that they understand the serious consequences that can come from not taking good care of their teeth. 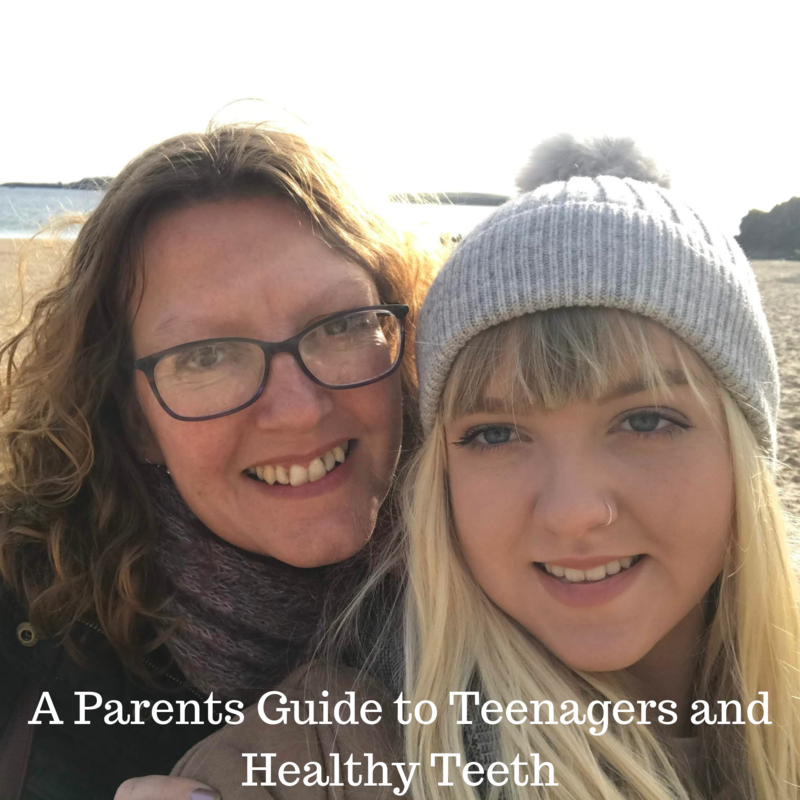 If you or your teenager has any concerns about their teeth or oral health, then make sure you go along to your dentist and ask any questions you may have. I hope these parents guide to teenagers and healthy teeth are helpful! Making sure their diet is right could certainly help a lot. It can be so hard to make sure teens care for their teeth. Great post. This is a really handy guide. It is so important to ensure they are taking good care of their teeth and their diet is a big part of it. I wish my mum had done half of this when I was a teenager. I would have had better teeth as an adult for sure. I have very weak teeth. It is harder to keep tabs on them once they are older. Hopefully following tips like these when they are younger will build a lifetime of good care of their teeth!